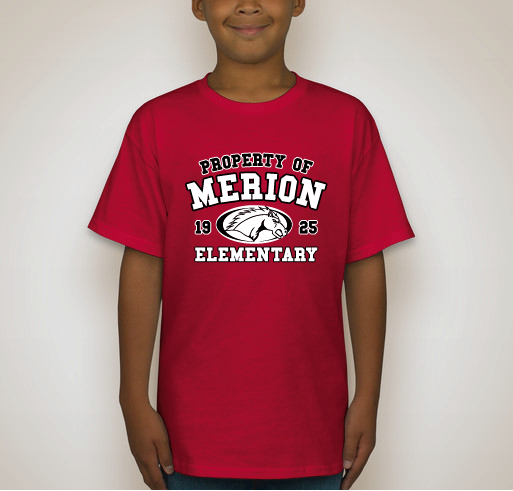 Support Merion Elementary and Show Your Merion Spirit! Our online stores are up and running, so you can order your t-shirt now! That's right - no more sending in order forms and checks with your child to school. 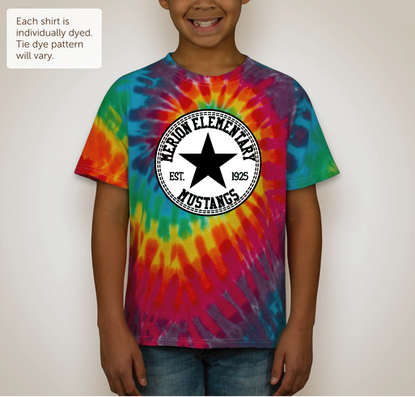 All t-shirts will be shipped to school at the end of our campaign, and your individual order will be sent home with your child in mid-October. Priced at $15, this design is offered on a 100% cotton Hanes Tagless T-shirt. T-shirt color options are deep red and light steel (gray). Adult and child sizes are available. To order your t-shirt, simply go to our online store by clicking the button below. Priced at $20, this design is offered on a 100% cotton Gildane T-shirt. The only color option is rainbow tie-dye. Adult and child sizes are available. To order your t-shirt, simply go to our online store by clicking the button below.